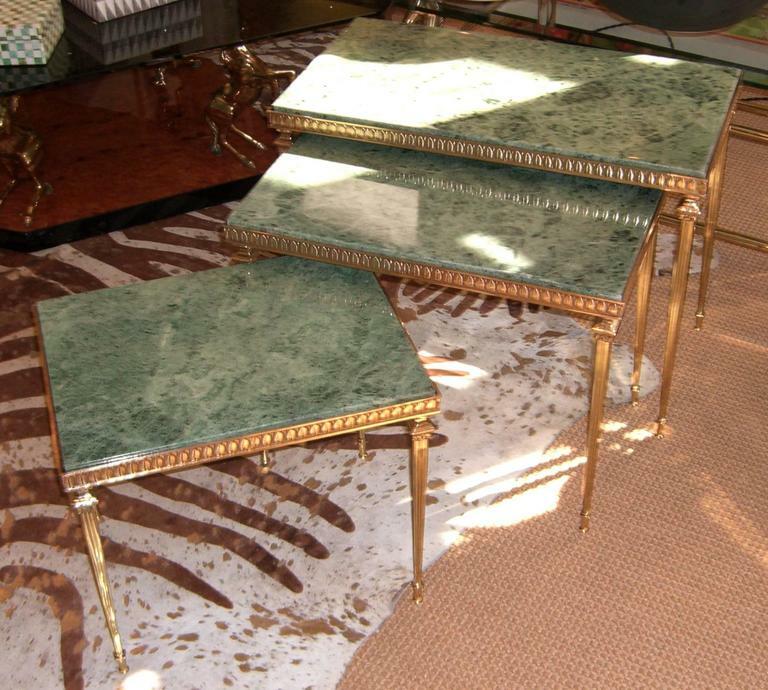 A group of three rectangular nesting tables. 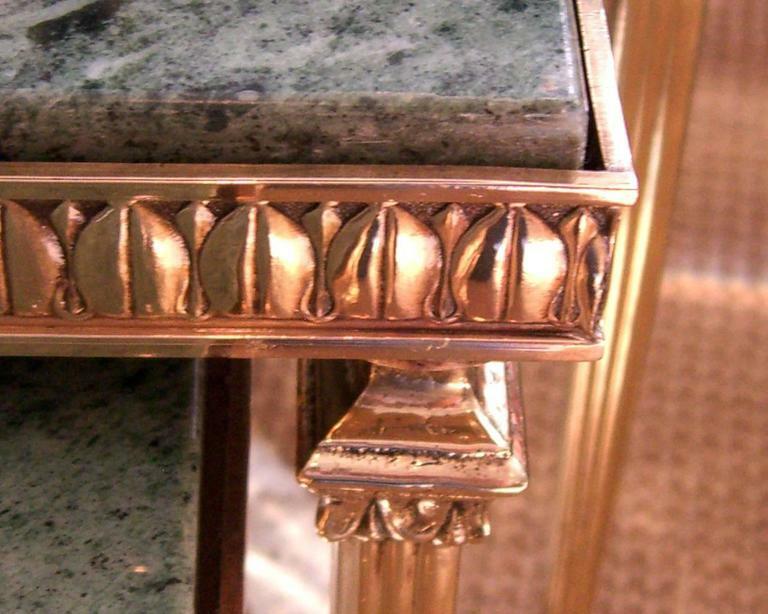 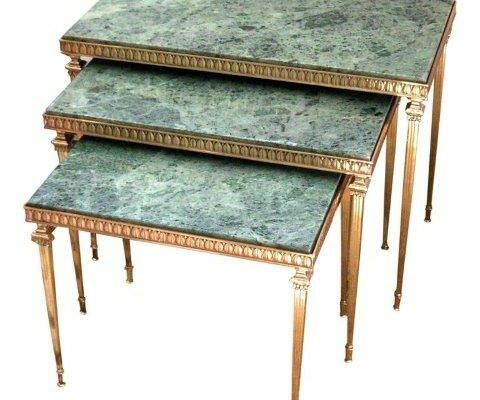 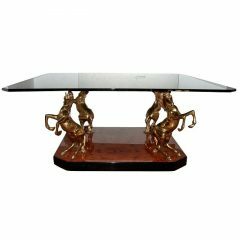 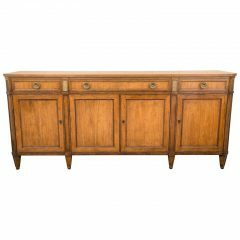 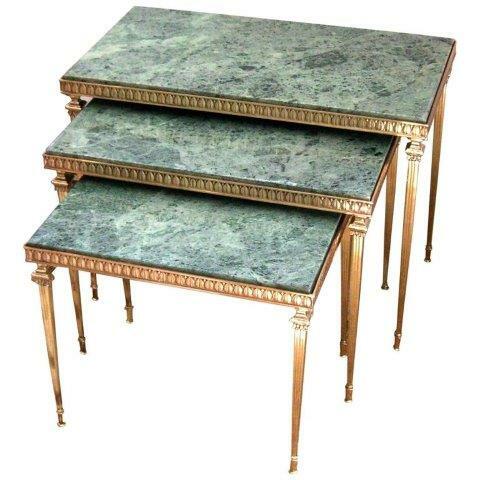 The bases are polished and lacquered brass with a delicate leaf design and decorative neoclassic style legs. 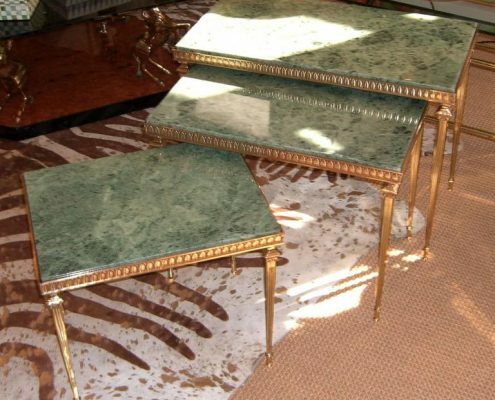 All tops are inset green marble with deeply shaded veining.